This is my babysitter checklist for parent interviews- This is what Parents WILL ask! 1. Do you have any openings? If so, for what ages? My Advice: When you are first starting out, you will want to quickly interview the first family that calls- after all, you want to get started! Of course, that makes sense and enthusiasm is great, HOWEVER! DON'T SOUND OVER-ANXIOUS! You'll need to ask THEM the right questions. They may not be a fit for you! My Advice: You are probably going to be nervous the first time someone asks you this question- I was. This babysitter checklist is going to make all the difference. Don’t be caught off guard and ramble on when they ask like I did- it was embarrassing, and I'll never forget that. Have a short resume-type experience sheet typed out and keep it near your phone so you are ready for calls. 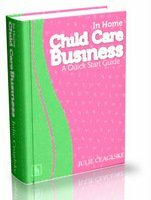 There are many Child Care Positions for you to use in your Parent Interview and your Advertizing efforts. 3. How long have you been providing care? And if you are new- see number 1. Everyone is new once! My Advice: Be sure to elaborate on why you desire to be a child care provider and your passion will show. 4. What is your daily routine like and what activities do you do? 5. How many children do you currently care for- what are their ages and what hours are they in your home? My Advice: Know your limits and patience level! 6. What are your hours of service for full and part time care? 7. What do you charge and when do we pay you? 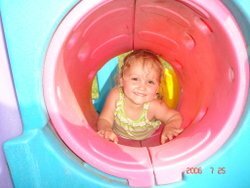 There is a lot to consider and it is important that you set up the right Child Care Prices. 8. Are you open on weekends? My Advice: I am not;I need the break... totally up to you! 9. Do you take drop-ins? My Advice: Drop-in children can be challenging. The child is in a strange home temporarily and this can be disruptive to your routine. 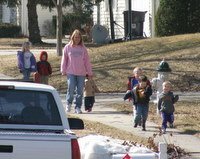 My Advice: Here in Iowa Child Care Providers may not smoke in their homes when children are present. Check with your state for regulations. My Advice: I do not...be sure to check with your child care insurance company if you're covered for injuries caused by pets. If you have them keep them separated. 12. What kind of food do you serve? Do I have to pay for meals? My Advice: If you are licensed/registered, participate in the Child Care and Adult Food Program and let them know that you do. 13. Are you registered or licensed? How many children are you allowed to care for? Read this babysitter checklist item carefully...My Advice: Being registered or licensed shows the parents you are serious about your child care career. Check out these Registration Benefits! 14. Are you on the food program? My Advice: Beneficial financially for you, nutritionally for the children. 15. Are you married or have kids of your own? 16. Do you know CPR? My Advice: If you don't, take a class prior to providing child care- it's worth every minute of your time for the peace of mind. We are required to. Any one that has a pulse should learn CPR! 17. Do you have any references? My Advice: See number 2 above. 18. Do you have a contract? My Advice: Yes you do, for the sake of both parties involved. 19. Where exactly do you live? 20. Do you have a pool? Read this babysitter checklist item carefully...My Advice: Huge liability risk here for an in-home daycare. 21. What do you do for discipline? 22. What do you expect me to provide? My Advice: Know this ahead of time. 23. Do you transport the kids? Read this babysitter checklist item carefully...For field trips, preschool, before and after school etc? If so what type of restraints do you use? What type of vehicle? What is your driving record like? Do you use a cell phone while driving? My Advice: I STRONGLY recommend NOT transporting --- EVER. Can you afford the insurance for it OR THE LIABILITY??? I never have and never will. It’s just too risky. The only transporting I do with the kids is via a stroller and my 2 feet. 24. What do you do with the kids? Do you have scheduled activities or routine? Keeping them busy with lots of Activities is HUGE, especially for your stress levels. 25. Do you have back-up care? My Advice: My daycare Parents provide their own- this is your decision, but be aware that your state will have certain requirements for them as well. 26. Do you have an open door policy? Can I stop by freely and unannounced? My Advice: Your answers should be YES and YES. My husband tells them "if your child is here you can enter this house through any door anytime you want". My Advice: This one is completely up to you! 28. Do you have a waiting list? My Advice: I usually get this question after I tell them my daycare is full. But by all means, if you have your limit of kids and they ask, take their name and number and start one! You never know when you may have an unexpected opening. 29. When can we set up an interview? My Advice: Go all the way back to my advice for question number 1! AND click on my Interview Page. 30. How do you handle a medical emergency? My Advice: Go to a CPR and First Aid Class- they will train you well. 31. How much TV/videos watching is allowed? My Advice: Parents of preschoolers or older usually are the ones who ask this. At my child care home it is very limited and should be at yours, too. 32. What other fees do you have? For example formula, diapers, baby food, sunscreen, art supplies,etc. My Advice: I have the parents bring all infant supplies, sunscreen- I have materials for arts and crafts. 33. Do you have a late pick-up or early arrival fee? My Advice: Like me, many family child care providers typically put in long days- some 10 or 12 hours per day. My family time is precious to me...When you have to go beyond your set hours (overtime) you deserve overtime pay. This is in my contract and my daycare parents abide by it. Years past I didn't have a fee and people abused my hours frequently to run after work errands. My Advice: I am permitted to care for so many children at one time, so each "space" I have is valuable. Many providers that I know will not give a family discount. I have had families who will "grow" (have another baby) which means an addition to my daycare family. I knew that child care costs are a big expense for them (2 or more kids) and have given them a small rate reduction - kept them from having to look elsewhere, and I didn't have to replace them (and I didn't want to, they were great people...a win-win situation for us both). This is your call as it's what YOU can afford to do in this situation. 35. Do I have to pay for days my child is not there? What if you are gone? My Advice: I have guaranteed rates regardless of a child's absence. However, when I don't provide care I do not get paid. That is it for my babysitter checklist! I realize it is rather large but worth the read for preparing for your business building interview and most importantly the parent interviews.